We stopped at a little access point to the White Cart river. There was mud galore, water, countless sticks and a willow tree. 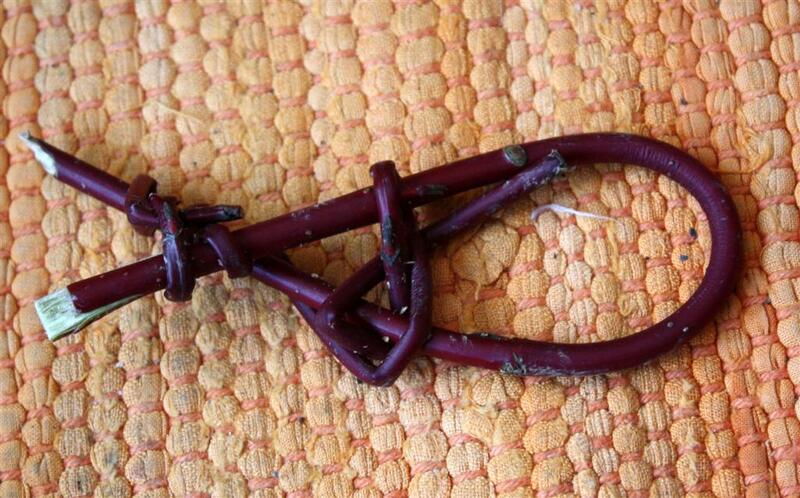 Somehow it occurred to me that I could make simple fish out of willow. After that, there was no stopping the 3-4 year olds: 10 fish it had to be, because that’s what it says in the nursery song. So 10 fish were made (I’m sure it was more) from tiddler to whale. Sticks became fishing rods and the fish were carefully fished out of the river (which is almost stagnant at the location) and thrown in again to be fished out again. For anything between one or two hours, as new pre-schoolers arrived and had to be introduced to the game, equipped with fishing rods etc, it went on and on and on. We went on to a different location later on, where we were looking for stones and found saw dust from what I guessed was a larch tree, it smelled and felt lovely. We hid the fish in it, touched it, let it run through our fingers, made holes and just enjoyed this rare, soft, fragrant material. Oh yes, and we picked one bag up, to use it for some crafting later on. There was dogwood nearby and I added to the collection of bendable wood. Back at home, I did have a camera. This is a dogwood fish, not as neat as the willow because dogwood isn’t quite as flexible. 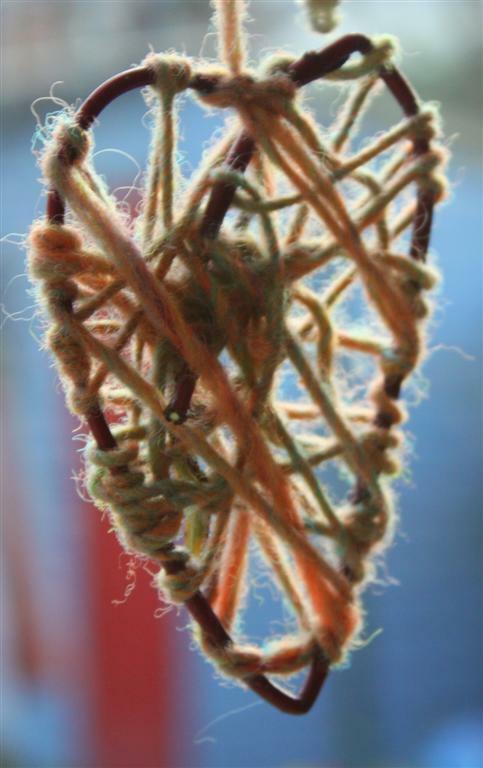 We made yarn and willow hearts. 1 year old explored the sawdust in a box as she’d slept through the discovery of it. Then, I introduced her to finger paints, which she didn’t like so much, but the paint brush, oh, that was a different story. 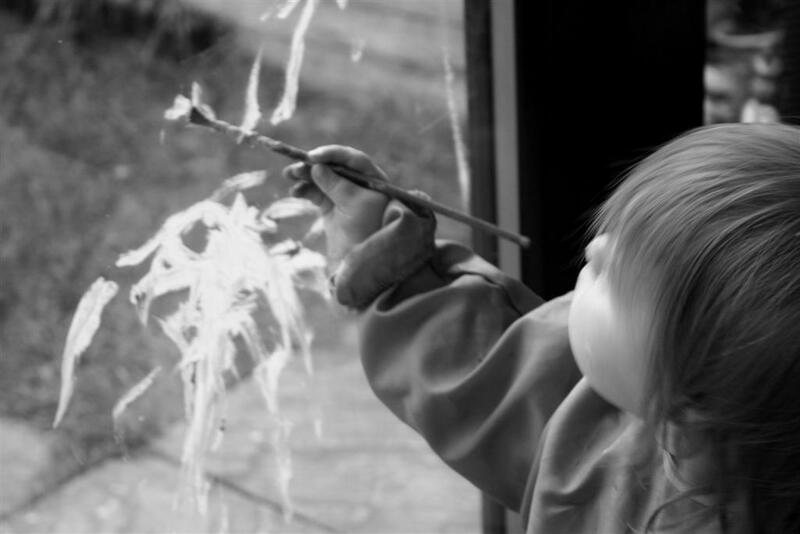 She was making her first marks on paper while I was making the yarn hearts with 4 year old, when big sister exclaimed in shock that little sister was painting on the window! That she was, very focused on the task, and engrossed in it. 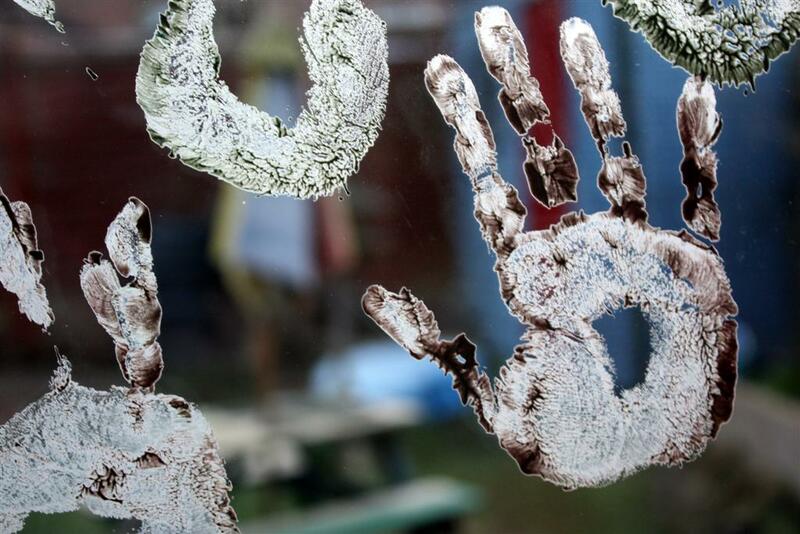 I just couldn’t bring it over me to tell her not to paint on the window, so instead, both were allowed to paint on just that window just today (since I had to clean it anyway). Oh we had fun. 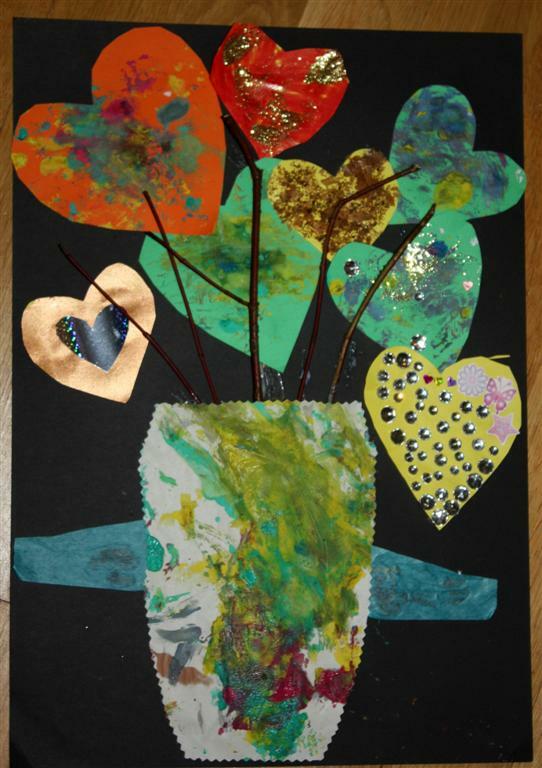 Lots of printing, glueing, decorating and painting later, we made this (inspired by that artist woman). And yes, it was VERY messy, but wasn’t it worth it? This entry was posted in Nature Craft and Play and tagged dogwood, fishing, nature activities, nature crafts, Nurture in Nature, Pollok Park, water, willow. Bookmark the permalink. I love the idea of making shapes from sticks. I wonder what would be a good alternative since we don’t have willow trees in Central TX. 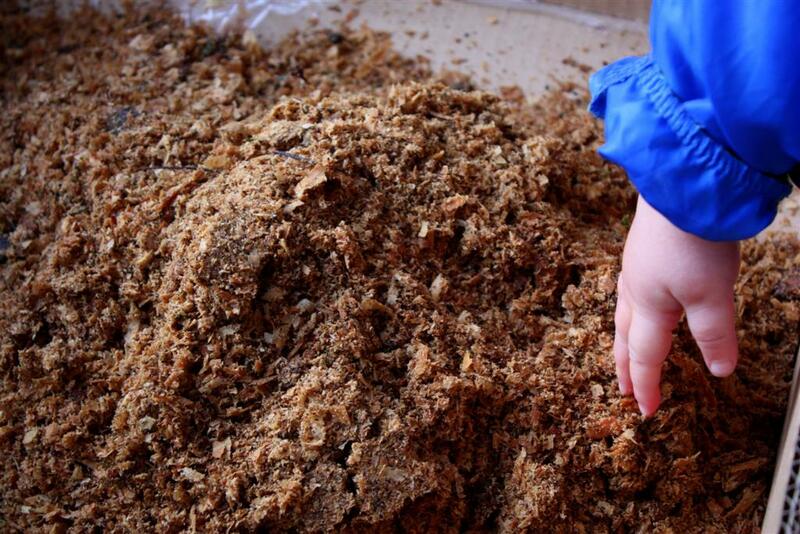 I love the idea of using sawdust as a sensory material. 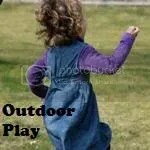 Thanks for linking up to the Outdoor Play Party! Is the UK really that much behind Europe when it comes to outdoor/nature play? The Children’s Garden under threat?